Just a short post, you really must have a look at this from ITV Anglia. Absolutely brilliant stuff. I heard on the radio today that Carlo Ancelotti, formerly manager at Chelsea, was actually sacked in a corridor at Everton’s Goodison Park, after Sunday’s Premier League match. I cannot believe how insensitive, unprofessional, call it whatever you like, this is. Is this how things are done in Russia? (Chelsea’s owner, Roman Abramovich is a Ruskie. Thank God I’m not one as well). At least West Ham had the common decency to ask to use a room at Wigan to do the dirty deed on Avram Grant. They said that 2nd place in the Premier League was not good enough – after he won them the double (Premier League and FA Cup) last season. This is all totally beyond me – come on all you Chelsea fans, if you can explain it all to me then please feel free to comment and do so. I and many others would love to know. So what for Ancelotti now? I have a feeling that he will emerge as the new manager at Aston Villa. I just think that they will be concerned as to Gerard Houllier's health, after his heart problems and the Frenchman will move upstairs in a Director of Football role. I also think that the lure of landing a big name like Ancelotti, will turn the head of Villa owner Randy Lerner. You mark my words. You will all know (or remember) my penchant for all things equine, or more to the point my liking of the Sport of Kings. I like nothing more to watch the horse racing on the telly of an afternoon, having the odd few pennies riding with one or more of the participants. So why then have I become absolutely useless at picking winners (or even horses to make the frame come to that?) I don’t think I am doing anything different when making my selections so why? I wish I knew. I am currently working on a system for betting on the greyhounds, which is coming up with encouraging results, so maybe I’ll give up horses (and maybe not). More on the system when I am convinced it works. Bye for now, will try not to leave it so long next time. Just a quick going back on a previous posting when I mentioned the Bedfordshire Clanger. You've certainly heard of the Cornish Pasty or Lancashire Hot Pot, well the Clanger is our local dish. Originally created for farm laboureres working in the fields all day, it could be eaten hot or cold. Made up from a suet based dumpling with a savoury filling at one end and a sweet delight at the other, giving the idea of a main course and dessert (clever eh?). That's it for now, I am going to see if I can get an image of a clanger to put up for you (so it's off down to Gunns later). Have you ever tried one? If so, what do you reckon to them? If you are in need of a good read, then please visit my website at www.ukwriter.co.uk where there are samples of many of my articles on various subjects. For our next trip around the Bedfordshire countryside, we move over to the eastern side of the county into what could be classed as Tatty country. OK, so this is a somewhat rather ambiguous analogy, but this is the area where the old fool resides. 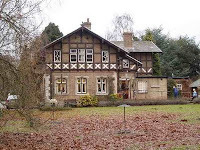 Just outside of the town of Sandy (on the Potton Road to be precise), the headquarters of the Royal Society for the Protection of Birds (RSPB), at the Lodge Nature Reserve is to be found. The reserve covers an area of 102 hectares (or 252 acres) of woodland and heath which is open to the public. At the entrance to the reserve, a “Swiss Cottage” is to be found, which now houses a shop and visitor centre. It was originally built in around 1851, for Captain William Peel who was the son of Prime Minister Robert Peel (the founder of the Police Force). Upon Captain Peel’s death in 1858, the estate was passed down to his brother Arthur Wellesley Peel, an eminent politician, who was later to serve as Speaker of the House of Commons for an 11 year period from 1885. 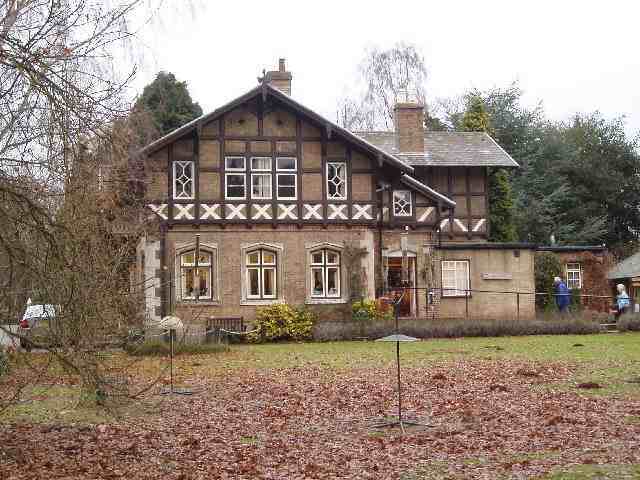 Swiss Cottage, (also known as the Entrance Lodge or Gatehouse. (Image by Martyn Johnson). 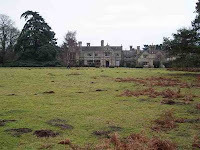 Arthur Peel had plans for a far bigger home on the estate and commissioned London architect, Henry Clutton to build what became the Lodge, which is set further back on the estate. 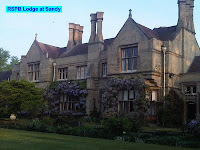 Completed in 1870, Sandy Lodge as it was initially named, was constructed at a cost of £6,695. At the time, Peel also contacted the local authorities, unsuccessfully attempting to get the bridle path removed from the land. Upon his retirement from the House of Commons, Arthur became Viscount Peel of Sandy and continued to live at the Lodge until his death in 1912. The house stayed in the family’s ownership over the next 22 years, although it was rented out at one stage for a 7 year period. 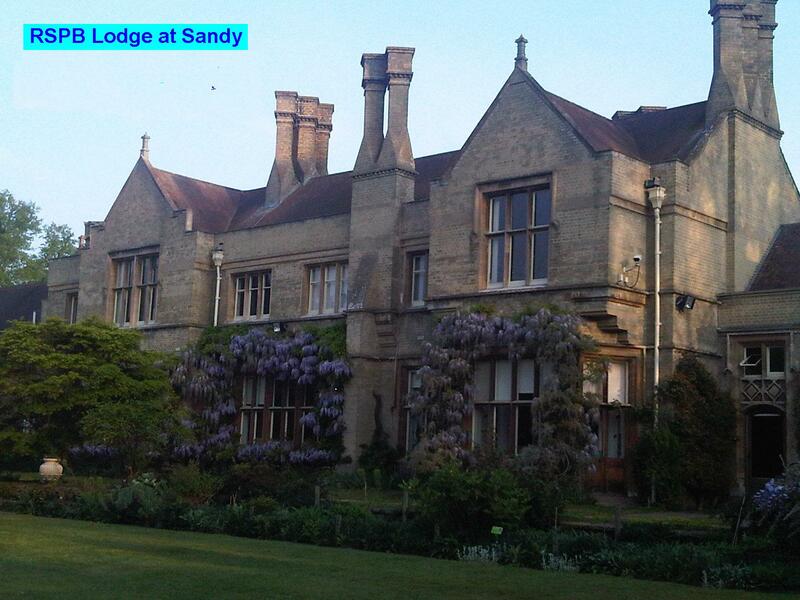 In 1934, the Lodge was sold to the chairman of the London Brick Company, Sir Malcolm Stewart. 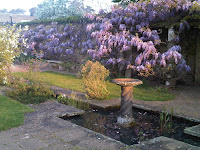 The gardens surrounding the mansion and the swimming pool located at the rear were the result of Stewart’s ownership (the pool however is no longer used for human swimming and is now the home of many koi carp. A hungry heron is never very far away). Malcolm Stewart passed away in 1951 and after the death of Lady Stewart; the entire estate was sold to the Royal Society for the Protection of Birds (RSPB) in 1961, for the sum of £25,000. Moving from their severely cramped headquarters in central London, the downstairs rooms of the house were used as offices whilst the staff lived upstairs. It is believed that HRH The Princess Margaret was interested in purchasing the estate around this time, but the continuing problem of the bridle path running so close to the house, brought about possible security risks and the idea was subsequently dropped. In 2011, the RSPB are celebrating 50 years at the Lodge. There are now many more buildings situated beyond the house, all of which are used as offices for the charity, who now boast over 1 million members. The staff living quarters have long since gone and the house itself, now being made up totally of office space, is only open to the public on rare occasions. Are you familiar with the Lodge Nature Reserve or even an RSPB member who regularly visits another of the reserves in the UK. Please let me know your stories. 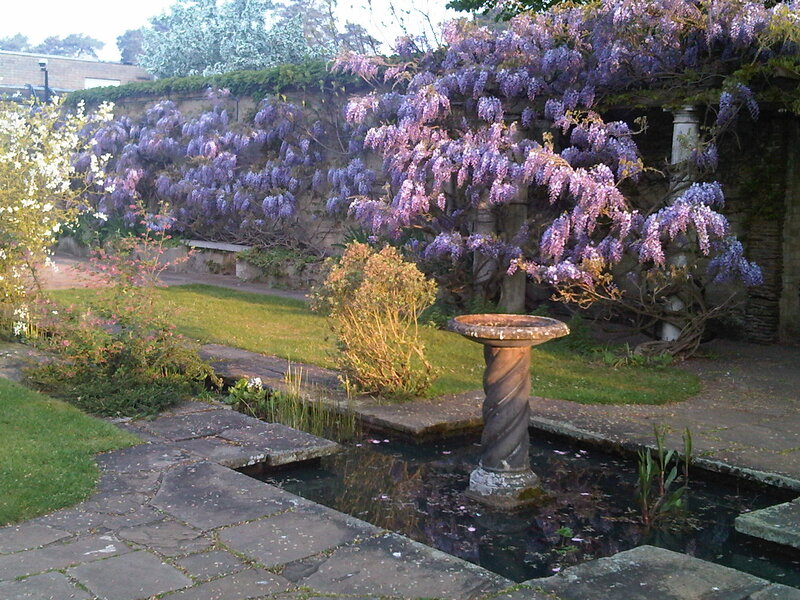 Check back soon for more about beautiful Bedfordshire. The full version of this article, with alternative images, is available by clicking here. The next port of call in our trail around Bedfordshire, takes us to the metropolis known as Luton. 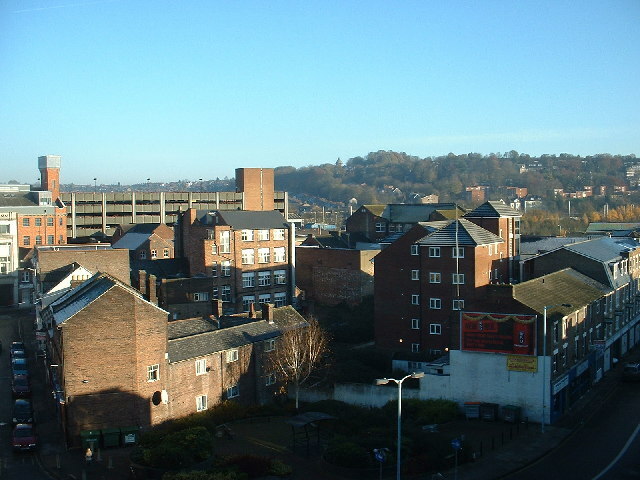 The biggest town in the county, Luton is situated approx 30 miles north of London and the Luton/Dunstable urban area has a population of about 240,000. 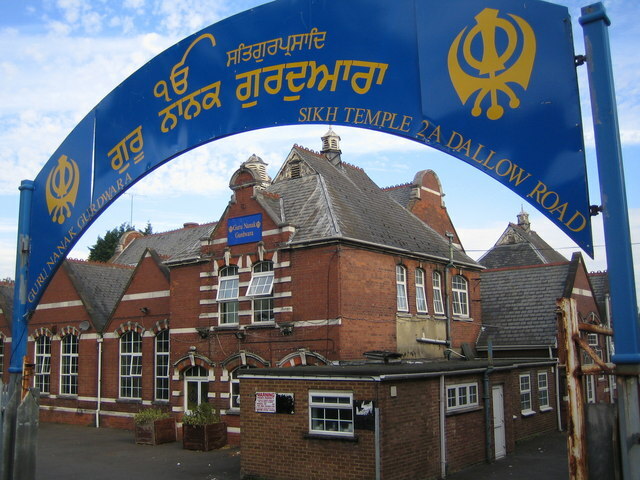 It is a very multi-cultural town, with many faiths and religions being represented among its population. Since 1997, Luton has been administratively independent of the county of Bedfordshire, but remains within for ceremonial purposes. Evidence of early settlements of up to 250,000 years ago has been unearthed in the Luton area. The town’s foundation however is normally attributed to around the 6th century, with a Saxon outpost on the River Lea bringing about the name Lea Tun (later shortened to its present form). It is recorded in the Domesday Book as both Loitone and also Lintone and at that time was made up predominantly as an agricultural area with a population of 700. Luton is probably most famous for its hat making industry which started in the 17th century, rising to prominence in the 18th, when it pretty much dominated the town. There are still hats made in Luton, but nowhere near on the scale as in the past. 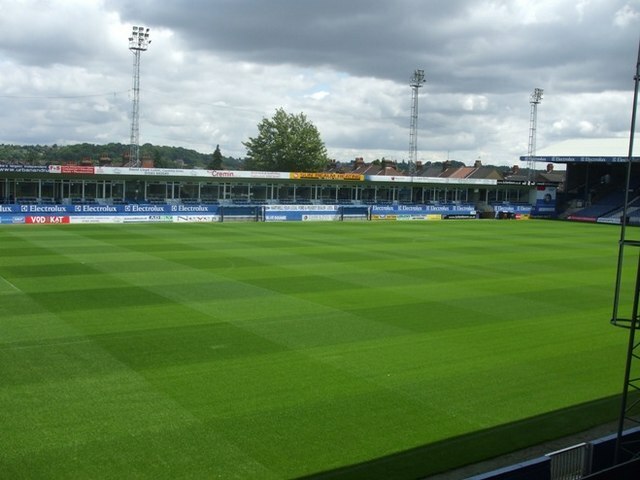 The local football team, Luton Town, has long been known by their nickname as the Hatters. In more recent times, the car giants Vauxhall (a subsidiary of US giant, General Motors) has been synonymous with the town. In 1905 they opened what was the UK’s largest car plant, in the town. During the 2nd World War, the plant manufactured Churchill Tanks for the war effort which made Luton a major target for air raids from the German Luftwaffe. Over 100 people were killed and damage was caused to over 1500 homes during the conflict. In 2002, Vauxhall ceased car manufacture at the plant, which at one stage employed in excess of 30,000 people. The company’s HQ remains there however, along with a factory manufacturing light and commercial vehicles. Luton’s other claims to fame are firstly its airport (home to the airline easyJet). With excellent road links (the M1 motorway runs past the town), this is the starting point of many people’s holidays in the sun every year. The town also houses the major campus sites for the University of Bedfordshire which, before amalgamation with the Bedford campus of De Montford University, used to be known as Luton University (this was back in the days when Mrs Tatty was an undergraduate studying for her teaching degree). The town centre has been and still is, undergoing a major regeneration, to which many of us would say is not before time. Luton has the reputation locally as somewhat as a hell-hole and, let’s be totally honest here, I generally try to keep well away from the place. 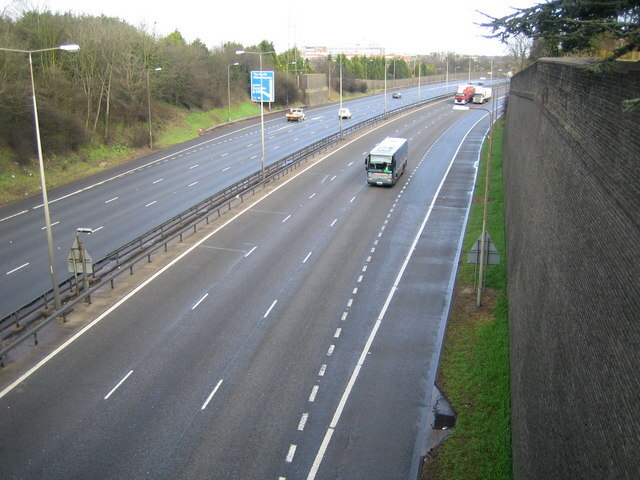 It houses possibly the best shopping centre in the county, but with the re-building of the A421 from Bedford, Milton Keynes (in Buckinghamshire) has become a far more attractive option. And at this point, we come to the end of our tour of Luton. I will return soon with more enthralling Bedfordshire chit-chat. Do you know Luton or even live there? What are your thoughts about the town? I would love to hear your comments. 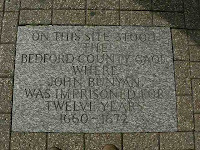 As promised, here is a very quick potted history of Bedfordshire mainly concentrating on the county town of Bedford itself. The county, as the name suggests is the surrounding area around Bedford. It is believed the town’s name comes from a Saxon chief called Beda and a ford that crossed the River Great Ouse which flows through the town. 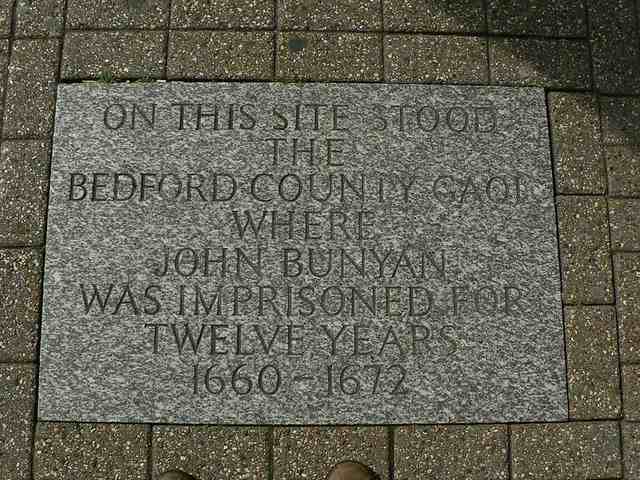 Bedford was originally a small agricultural and market town, with wool being an important industry in the middle ages. From the mid 16th century, the town and surrounding area became one of the main centres of the English lace industry. This continued up until well into the 20th century along with brewing which also became a major town employer. Bedfordshire is made up from a number of sizeable towns such as Bedford, Luton, Biggleswade, Dunstable, Leighton Buzzard, Arlesey, Ampthill, Sandy, to name but a few. Bordering Cambridgeshire in the north-east, Northamptonshire to the north, Buckinghamshire in the west and Hertfordshire in the south-east. 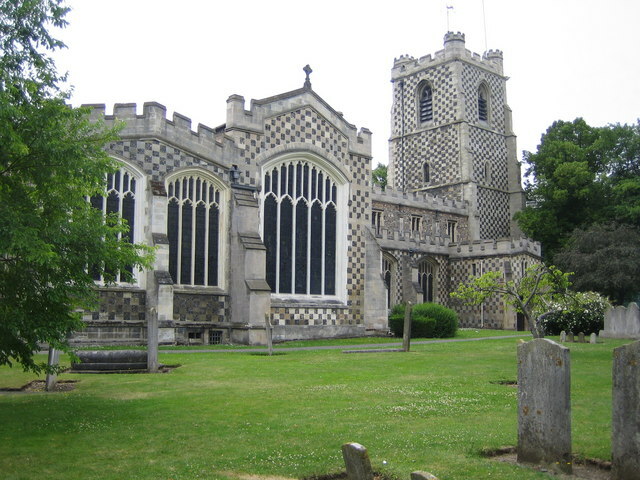 Bedfordshire is a county of historical origin forming part of the east of England region. I am not native to the county, having lived here only for 10 years or so. It's a good place to live and over the next while, I intend to let you know just why that is. People from this county are traditionally known as "Bedfordshire Bulldogs" or "Clangers." This is not a reference to those rather strange alien creatures made famous by a children's TV show a few years back, but rather to a local dish comprising of a suet crust dumpling filled with meat or jam or more often than not both. I will return soon with another posting, outlining the history of my adopted home county.